Archives for December 2017 | SmashToast, Inc. Most moviegoers know the award-winning actor Gary Sinise for his memorable roles as Lt. Dan Taylor in the 1994 classic Forrest Gump and as NASA astronaut Ken Mattingly in Apollo 13. But most fans might not know that this actor is quietly building a legacy by gifting new homes embedded with smart home technology to war veterans. In 2012, the foundation launched its cornerstone program, R.I.S.E. (Restoring Independence Supporting Empowerment), which builds specially adapted smart homes for severely wounded veterans nationwide. Each one-of-a-kind home is customized to match the capabilities and challenges of each family, as well as to ease the everyday burdens of veterans and their family and caregivers. So far, the foundation has donated more than 60 homes to wounded heroes around the country, all mortgage-free. While each home is unique, they generally include a security system, lights, and automatic blinds that can be controlled from an iPad, as well as more basic features like ramps and lower countertops, and more complex additions such as a therapy pool or an elevator. Other features include entertainment systems, as well as retractable cooktops, cabinets, and shelving. In the Memphis, Tennessee. home of Marine Cpl. Christian Brown, for example, an audiovisual and automation system based around an Elan Entertainment and Control System was customized and installed by local home automation designer Electronic Environments. Through the system, Brown can operate the home’s Pulseworx lighting, thermostat, Qmotion window shades, security cameras and video recorder, automated door locks, and a Holovision door station integrated with an Elan intercom. A Panamaxpower management system not only protects the ELAN system from power surges but also allows Electronic Environments to monitor and troubleshoot all the connected equipment remotely. Brown’s home even features a customized woodworking shop so he can pursue his hobbies. Each one-of-a-kind home is customized to match the capabilities and challenges of each family. The foundation has deep pockets — its most recent IRS filings show total assets of nearly $30 million — but it’s also smart about seeking out partners. Corporate sponsors include heavy hitters like American Airlines, Sysco, and General Electric, while nonprofit partners include well-known institutions like the Home Depot Foundation, Wounded Warriors Family Support, and the United Service Organizations. The Gary Sinise Foundation saves about $150,000 to $200,000 per home thanks to donations from national sponsors, accordingto Executive Director Judith Otter. And that doesn’t even count the more than 35,000 private donors who have contributed to the cause. R.I.S.E. 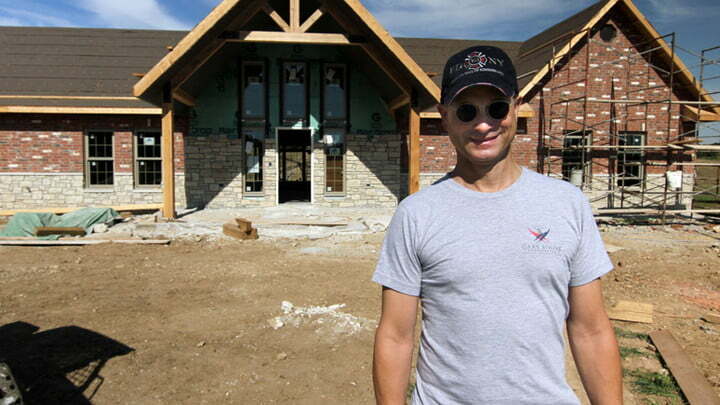 isn’t the only program of the Gary Sinise Foundation. 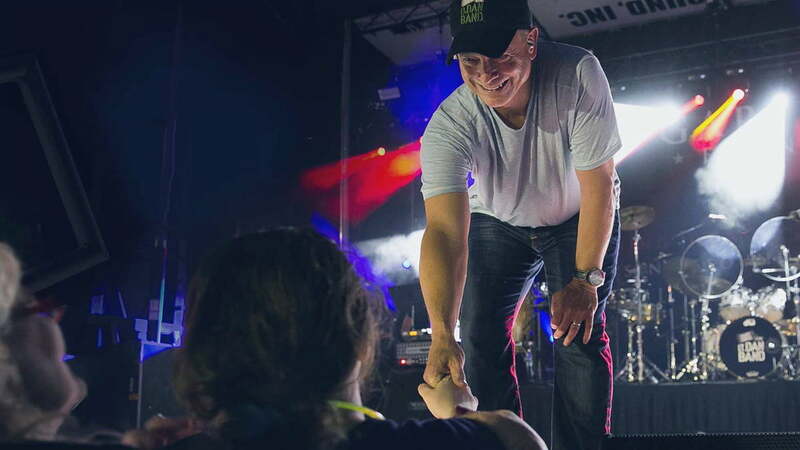 Others include Relief and Resiliency Outreach, established to provide complete support to those recovering from trauma, injury, or loss in times of urgent need; Independent Spirit Festivals to bring military communities together; and Arts and Entertainment Outreach, which takes veterans to free performances at the Steppenwolf Theatre in Chicago, which Sinise founded along with two friends in 1974. The foundation’s latest enterprise is Soaring Valor, which brings World War II veterans to the National World War II Museum in New Orleans. 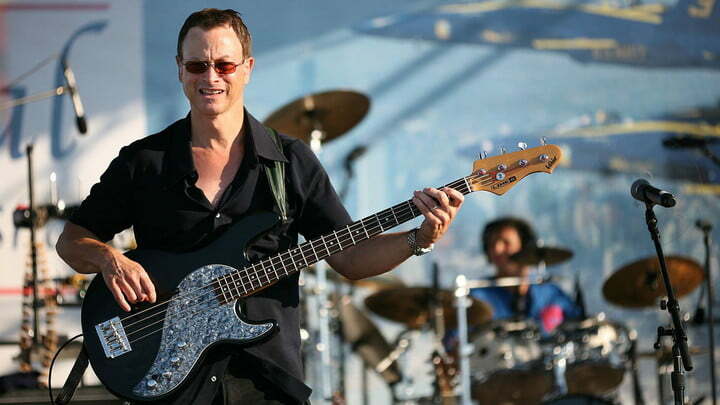 Sinise says that he learned what it means to serve from the veterans in his own family. He also directed a play written by Vietnam veterans and solidified his bond with wounded heroes through his Oscar-nominated performance in Forrest Gump, a role which introduced him to wounded heroes around the world. He still makes time to regularly attend the openings of new homes, as well as gatherings and festivals, often at the head of the “Lt. Dan Band,” a wide-ranging rock-and-roll band that has performed more than 400 concerts around the world. It’s a mission that has earned the actor and philanthropist many accolades and honors. 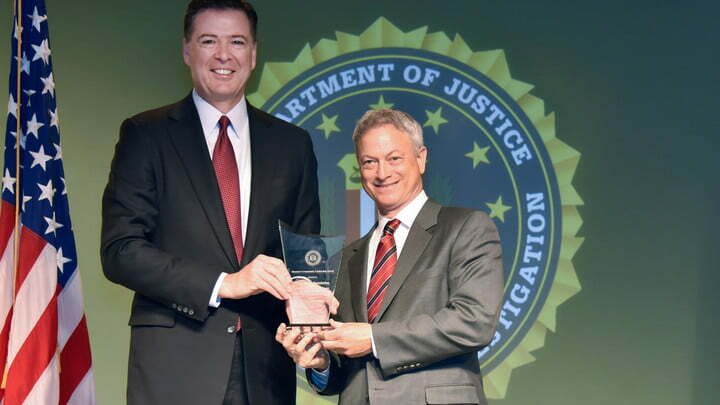 In addition to more traditional recognition like a star on the Hollywood Walk of Fame, Sinise earned the Director’s Community Leadership Award in 2016 from the Federal Bureau of Investigation on behalf of his foundation, and in 2008, he was given the Presidential Citizens Medal, the second-highest civilian honor, which is bestowed on citizens for exemplary deeds performed in service of the nation. He is only the third actor to receive the honor. In 2018, he’ll be the Grand Marshal of the Rose Parade in Pasadena, California. In 2014, Sinise gave a speech to the American Veterans Disabled for Life Memorial Dedication that captures his commitment to his cause. 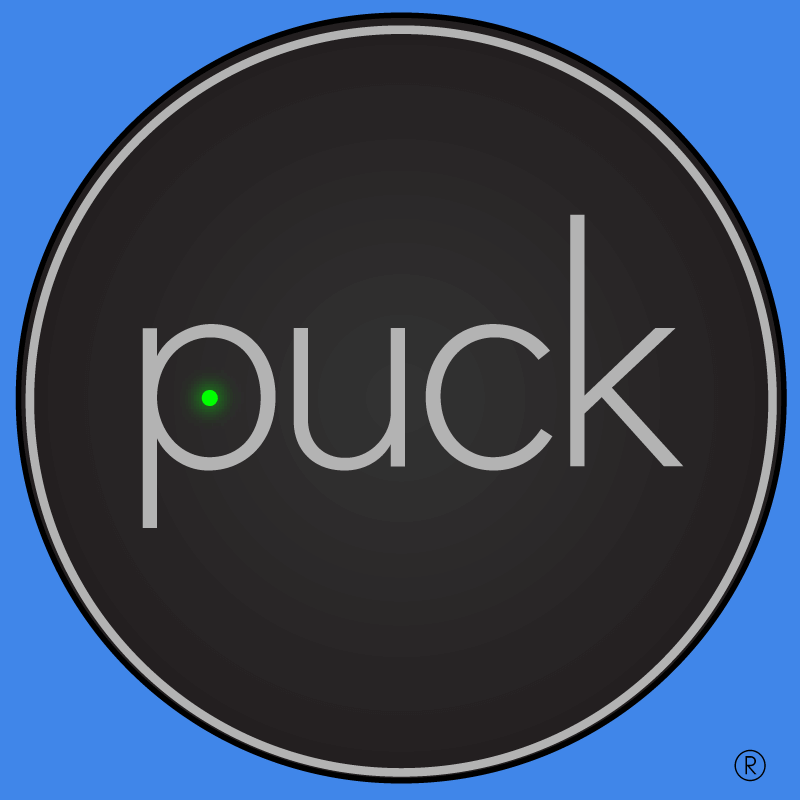 SmashToast was founded in March 2014 with a desire to make life more efficient through the flagship product, PUCK. SmashToast is dedicated to developing consumer-facing hardware and software that provide efficiency to everyday processes. We believe in a balanced approach to form and function. We strive to develop products that make lives better using simplicity, elegance, intuition and technology. Predicting Our Future is a podcast about the next revolutions in technology, as seen through the eyes of a serial entrepreneur. Below is an edited transcript excerpt from Episode 10: “Smart Homes & IoT: A Century In The Making” — the first episode in a 7-part series on the future of the smart home. In this episode of Predicting Our Future, I trace the history of the smart home and try to contextualize where the smart home movement sits in the larger technology category, the Internet of Things. It’s the dead of winter and you’re driving home. In my case, it’s to my house outside of New York City on the eastern end of Long Island. I remember coming home in the dead of winter and huddling with blankets on the couch until the place warmed up. The use case for a thermostat that could be accessible over the Internet was so obvious, I wondered why it took until 2011 for Nest to launch. It would have been prohibitively expensive for me to heat a weekend home throughout the week, and a timer wouldn’t work, as I was never really sure I was going to be at the house on a weekend. The perfect solution: a thermostat that could be remotely accessed from a smartphone over the Internet to turn on the heat as I’m on the highway and still a couple of hours away from getting home. That’s what Nest does. It’s a thermostat that is connected to the wireless network in your home. There’s a corresponding downloadable app for your Android or iPhone that, when you open it, shows you the temperature of the room. If you have multiple zones in your house, you can see the temperature in each zone. You can even see the temperature outside of your house. Best of all, there’s a friendly interface that allows you to adjust the temperature upwards or downwards. In my case, I typically pull over in traffic on the Long Island Expressway about an hour away from my home to adjust the temperature. You’d be forgiven if you thought that the Nest was the first instance of a connected device that was part of the smart home. The truth is that people have been talking about and building some variation of a smart home for decades. When I refer to a smart home, I’m referring to a house featuring “intelligent” technology that simplifies and automates everyday activities such as turning on lights, locking the door, lowering shades, and, yes, changing the settings on your thermostat. You can call any device “smart” that is capable of doing something autonomously. A smart thermostat automatically adjusts the heat downward if there isn’t any motion in my house. That’s what makes it autonomous. Smart devices are almost always also devices that are connected to a network. The first connected locks and light switches introduced to the home more than a decade before Nest weren’t even connected to the Internet. They were connected to a stand-alone device in the house (called a bridge) that you could operate remotely only if you were in the house. The catch: they were connected from the lock or the light switch to the bridge using protocols like Z-Wave and Zigbee. Think of a protocol as a language for one device to speak to another. WiFi is also a protocol, but it couldn’t be found in these early devices. In 2004, you could operate connected locks and connected lights from a mobile device, but not an iPhone, because the iPhone wasn’t launched until 2007. It’s not hard to see why your average consumer had difficulty getting excited about this type of configuration. First, you needed a dedicated remote control to make these devices work. Second, they only worked when you were inside of your house. Fast forward to 2011 and Nest and a time when most people you knew had a smart phone. While Nest wasn’t the first smart thermostat, they captured the tech community’s imagination with a clever interface and by putting a WiFi chip inside their thermostat that connected it to the Internet. I could finally heat up my house from the road. Big companies and startups alike began to focus on what other devices, if connected to the Internet, could capture the public’s attention and gain mass adoption. 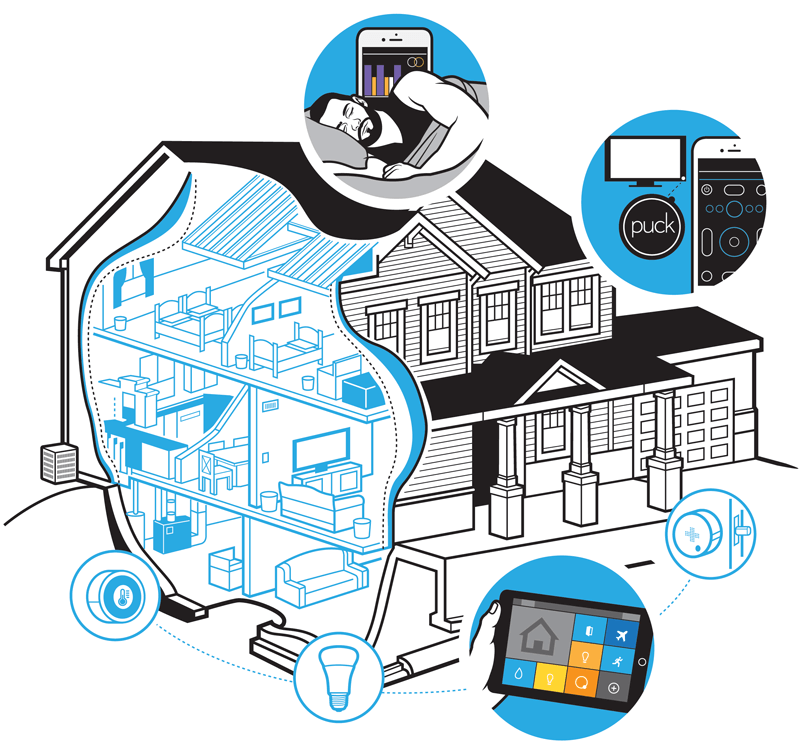 The smart home space fascinates me — first, because it promises to transform the way we live. Second, because it has been at the cusp of taking off for decades. And lastly, because it represents big business for technology companies and tech startup entrepreneurs. Think about smart homes as places where people live that contain devices connected to the Internet. Companies write software to program these devices all with a design to make your life easier. Let’s imagine for a moment all of the places you might want connected devices outside of the home. A car could have a device that monitors where it goes and the wear and tear on the wheels. This would all be reported back to the cloud, sharing with the driver at some later date that’s it’s time to realign or change the tires. Machinery within a factory might send out a report of their performance and then be adjusted to increase the output of whatever the factory is making. The Fitbit bracelet on your wrist captures your steps and can suggest what you need to do to improve your health. All of these examples are smart devices. And all of them, including devices that make up the smart home category, are part of the bigger category the Internet of Things, or IoT. Professor John Barrett is the Head of Academic Studies at the Nimbus Centre at Cork Institute of Technology in Ireland. I was drawn to him after watching his TEDx talk on the future of IoT. Not surprisingly, while connected devices have become very visible recently, work on these devices (or, as John refers to them, “sensors”) has been going on for a long time. One of the interesting insights from my conversation with John was his perspective in not focusing on the individual functionality of a device, but on the societal benefit of connecting certain devices to the Internet. The IoT space is already huge. Total global spending on IoT devices and appliances across all environments (work and home) was an estimated $737 billion in 2016 and is projected to reach up to $1.4 trillion by 2021. According to a McKinsey Global Institute report, IoT is projected to have an economic impact of somewhere between $4 to $11 trillion on the global economy by 2025, when factoring in its impact in sectors like manufacturing, health, retail, and the smart home. I wanted to know: how did John think of the smart home in the broader context of the entire IoT space? John gave me one intriguing example of what a smart home community could be capable of, if all the homes were connected to a central network and communicating with one another. Here’s another example of how, in John’s view, the smart home is more effective if it is integrated with connected devices not in the home. I was curious where this idea of a smart home originated. Intelligent home devices have long included some type of computational power to reduce manual work. The idea of reducing work using machines has been part of the American consciousness for more than a hundred years, well before the technology existed to implement any of the devices coming online today. Think of the conventional washing machine, which, with the press of a button, automatically soaks, cleans, and wrings out water from a load of clothing. This idea of a home that could minimize work for its inhabitants was sold en masse to American homemakers in the beginning of the 20th century. It came in the form of the world’s first vacuum cleaner in 1901, followed by the electric washing machine in 1904. In the following decades, the clothes dryer, clothes iron, refrigerator, dishwasher, garbage disposal, and other appliances would be introduced. The time saved by these automated appliances can’t be understated when compared to doing these tasks manually, although it’s hard for us today to imagine living without such modern creature comforts. The first instance I could find of a science fiction vision of the smart home was E.M. Forster’s “The Machine Stops,” published in 1909. Forster portrays humanity as an underground-dwelling race that depends on a machine to fulfill all their bodily and spiritual needs. That story predicted such advances as instant messaging and video conferencing. In 1948, the book, 1984, by George Orwell depicted every home with a connected telescreen and a voice-controlled device called a “speakwrite,” which today we would think of as a voice assistant. Interestingly, there are other industries that are being disrupted now that have also been part of the collective consciousness for over 100 years. The first crude version of an electric car was invented by Robert Anderson around 1832. This next fact shocked me. By 1900, almost a third of all cars on the road were electric. It was surprised because it’s hard to imagine that we went from having electric cars to virtually abandoning them for over a century while we polluted the world with gas guzzling vehicles, only to begin the return to them over the past decade. The problem with the electric cars that were used in the early 1900’s was their speed and distance. They were extremely slow at 20 mph and could travel a very short distance of 30-40 miles before the batteries needed to be recharged. The earliest versions of the electric vehicle were doomed by the introduction of Henry Ford’s affordable Model T in 1908 and the relatively cheap cost of gasoline due to the unearthing of Texas crude oil. By 1935, the electric car was disappearing. It wouldn’t reemerge again until 1997 when Toyota released the Prius, the world’s first mass-produced hybrid electric vehicle. It wasn’t until 2008 that Tesla began producing luxury electric vehicles that could travel up to 245 miles on a single charge. The history of the smart home has had similar false starts. We think of computers in the home today as useful for surfing the web or writing documents and building spreadsheets. But in 1966, the first home computer, the ECHO IV, was built by a Westinghouse engineer on his own time with permission from his employer. The ECHO IV was designed to accomplish, among other things, tasks like computing shopping lists, controlling the temperature of your home, or turning your appliances on or off. The ECHO IV never commercially shipped. As the decades passed, the promise of technology in the home seemed to arrive in slow motion, even while there was a general awareness that this was an area with immense potential. In 1984, the National Association of Homebuilders coined the term “smart home” as a niche group that advocated for integrating technological solutions into the homebuilding process. Want access to the full podcast episode? Experience “Smart Homes & IoT: A Century In The Making” in its entirety. The Affordable Digital Home is Now a Reality! 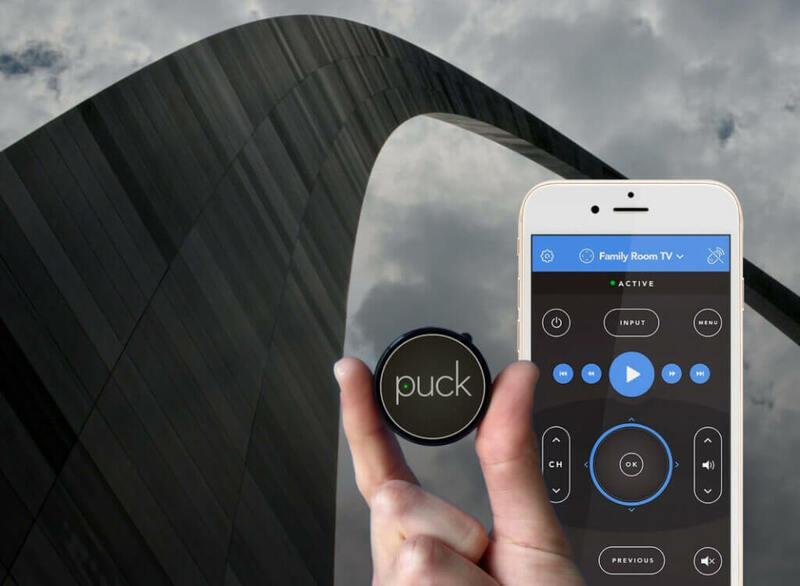 The digital home of the future is now a reality – and, at SmashToast, we engineered PUCK to make the advanced technology available to as many incomes, ages, and abilities as possible. Puck solves this with a splash of tech. 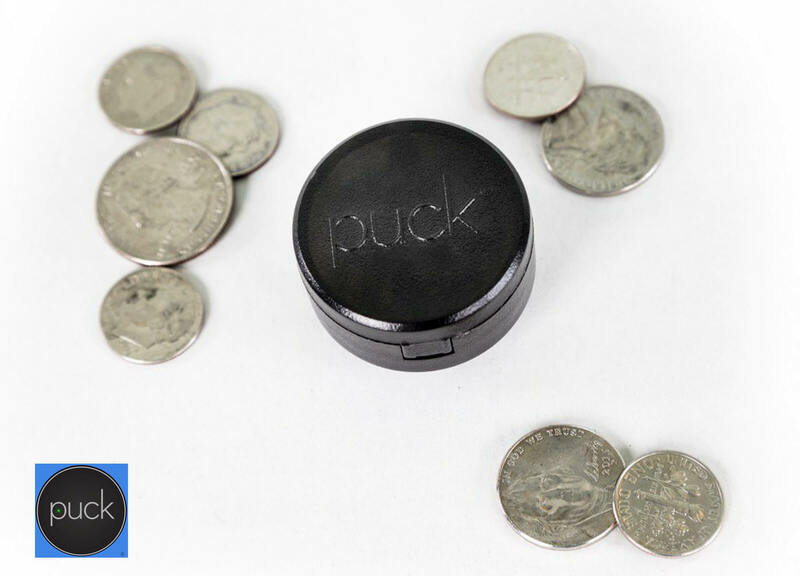 At 1.6 inches, the battery-operated Puck isn’t much of a physical presence. But what it does is pretty impressive: “It works by attaching to the target accessory near it’s IR receiver—the part of the TV that accepts the remote signal,” says Helmy. To the uninitiated (or to non-techy people who just read the above explanation), these devices can seem complicated—you might as well just deal with the three remotes you’ve (finally) figured out how to use. But Helmy waves that aside. “It really is a simple device,” he says. Basically, as long as you know how to work an app, you’re golden: “I designed it in a way that would put all the heavy lifting on the app side,” Helmy explains. Hardware to Retail: Interview with SmashToast! In our efforts to educate up-and-coming consumer product teams to the ever-changing retail environment, we looked inward and conducted an interview with a Retailbound client – Smashtoast – getting direct insights from their Founder, Barnabas Helmy. 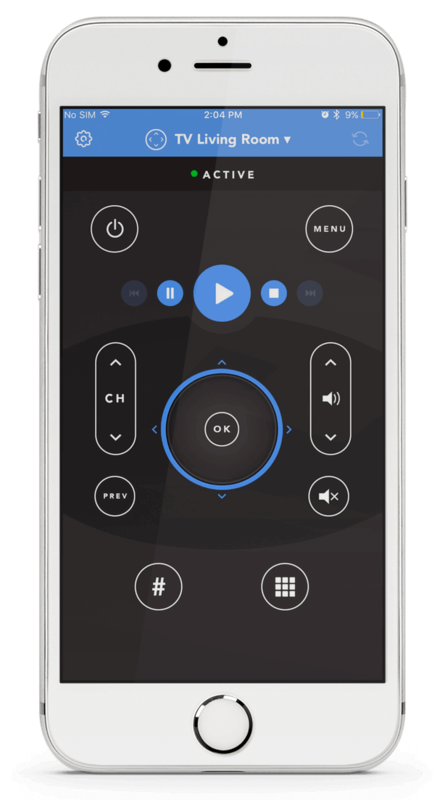 As a hardware startup founded in early 2014 based in Chicago, Smashtoast created a compact universal remote for your entire collection of smart home devices. 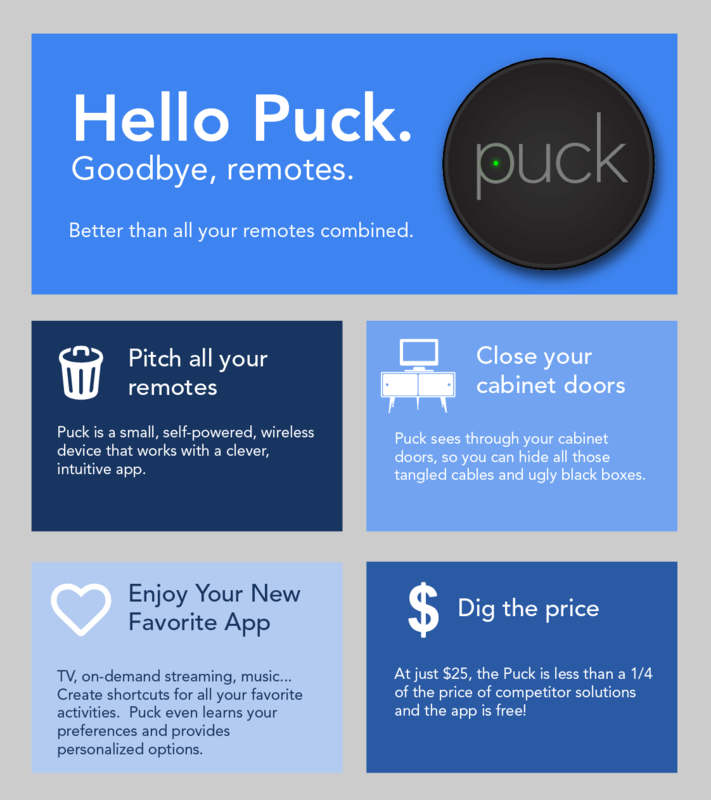 You can find their product – Puck – at Walmart, Amazon, and Wellbots to name a few. Benjamin: How would you describe a one-minute history of SmashToast and your journey as a hardware founder? Barnabas: In one word it’s been enlightening at the very least because I had done a software startup and an internet-based startup before, but I’ve never done hardware before except for my own purposes just tinkering around. It’s a lot more difficult to do hardware than it is software so, you know, that’s it in a nutshell. One of the best stories I got early on was from a mentor telling me that he had gotten this amazing job, and there was so much to do that he just got stuck and it ended up being a catastrophic end to a great job. His advice was basically – as long as you make an accomplishment every single day, it’ll build upon itself. And that’s really been how we’ve gotten to the point where we are today. In those early stages when you never see the light at the end of the tunnel, you just have to believe in the end vision and if you’re making an accomplishment every single day, they do build upon each other. We’ve started in the Midwest and we’ve kept it in the Midwest. I’ve traveled to the West Coast and spent a lot of time out there to learn and understand, but being from the Midwest has been an incredible experience and I’m so glad that we’ve stuck around here to work with our partners. Well, it is the right answer because every bit of capital that they were willing to invest would be going towards living expenses and nothing would be going towards the product whereas in St. Louis, we won a $50,000 grant from Arch Grants and cost of living here is so much less when you’re spending $600 a month on rent for a home. That money goes a long way and that’s kind of really helped us get to market. Just being diligent and wise with our funding. Benjamin: Having gotten to the point of selling your product in retail, how did you go about finding the right strategy, resources, and team? Barnabas: Having qualified mentors and advisers has been really helpful. Making sure that I have those folks and team members that cover all the bases, not just retail or finance or legal. Someone in manufacturing. Having someone you can call on and ask questions and not be afraid to ask has been absolutely crucial. A lot of the advice they give has been premature to me at the time, I don’t know what the hell they’re saying, but it stays with me. When whatever they’re talking about does become relevant, I’m prepared for it because I finally understand what that advice meant. It finally clicks in a lot of ways. Also, tools like LinkedIn have been great, obviously, that’s how I found Retailboundand there’s a couple other tools I think have been really useful. When I was in San Francisco there was one called Conspire. You can just put in someone’s name that you want to meet with and it’ll scrub your email and look for a link so that’s kind of a cool tool. Another one is Reddit, the startup sub-Reddit helped me early on. I don’t know if it’s still alive and well, but that was a crucial tool. Benjamin: At what point did you decide that it was the right time to bring on Retailbound as a retail partner, and how did you decide among so many options? Barnabas: To be quite honest, when you came up to me at CES last year or last season I had been reading your articles for quite a while and I’m assuming that you befriended me at some point or we had connected at some point. I had read your articles so I honestly thought we knew each other when you called and said hello and introduced yourself so that was a really great introduction and it kind of helped. Trust is everything with me. Everything. I’m methodical about making decisions with new partners. So, that helped me quite a bit to just understand your voice and I felt like I knew who you were already so it added to that trust that you knew what you were talking about. We do get slammed by thousands and thousands of emails and calls all the time. And you know, the time was right for us after CES we had been getting hit by Walmart and other retailers and I needed somebody to help us navigate that because it’s not my forte. There’s so many times you have to take a leap of faith and it’s so easy to get frozen by the fear. 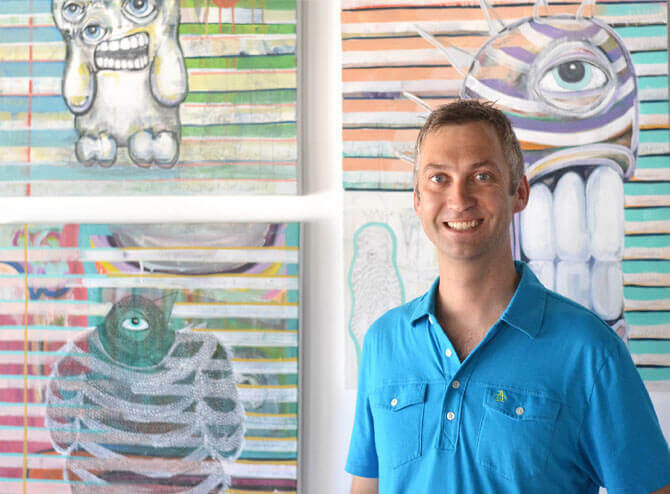 Even founding a startup is a gamble. So if you’re risk averse it’s not the game for you. It’s a constant game of just putting all the chips on the table and you have to be 100% behind the decisions you make, so I definitely feel like it was the right one. Benjamin: Are there any specific traps or challenges to point out for a hardware startup that’s approaching the retail stage? Barnabas: For a hardware startup approaching retail, I would say it’s very important to have someone on the team like Retailbound that understands the retail space because it’s not easy, it’s very expensive, and you’re not guaranteed sales whenever you enter into a retail space. So, you know, having someone on your team that can make sure that the retailer that you choose to work with has the customers that actually want to buy your product is a huge, huge, huge thing and can save you a lot of headaches. Because if you put 10,000 units in a store with the wrong target audience, you’re screwed. I didn’t realize how clueless about retail I was until we jumped into it head first. There is so much to learn among distributor sales reps and the actual retail distributor establishments that it helps so much to have someone take that off your plate that understands what they’re doing. Benjamin: What excites you the most regarding the future of SmashToast? Barnabas: After three years. When I first started this company, I was told that “smart home” and “IoT” were the buzzwords, believe it or not. And I was told you wanna try and “ride the wave”. And I was like, I am. This is happening. This is going to be a big thing. Now, especially after the last Consumer Electronics Show, we got a lot of recognition. We had zero budget. This year we’re gonna go back and we’re being highlighted in the smart home section. We have some incredible opportunities at CES to pitch some big investors and it’s like everything we’ve been working for is finally coming to fruition. We also got accepted or invited to Upfront. They don’t publicize it or anything, but they pick eight startups out of Eureka Park to pitch to 80-90 investors and distributors and stuff. And I was like, “holy cow.” So we’ve been chosen to kind of represent the smart home section for that. So we’ve been doing something right the last year. We’re selling product. We’re working on the next generation. We’ve got some really exciting improvements to our product coming out, so all of the hard work is really just showing itself. It’s a great feeling. It’s still risky. It’s still scary. It always will be, I think, but I think I’ve just become a little calloused to the stress which is nice. So, any other founder that might read this should know that you do become calloused to the stress. Right now, it’s definitely exciting that we’ve finally managed to get it to retail and see product moving. Benjamin: Thanks Barnabas for your time, and best of luck at CES! Barnabas: Of course, anytime! Feel free to stop by and say “hello”. Global spending on the Internet of Things (IoT) will grow 14.6 percent in 2018, according to a new forecast from International Data Corp. (IDC), to hit $772.5 billion. The category will more or less maintain that upward trajectory throughout the prediction period, averaging a 14.4 percent compound annual growth rate (CAGR) through 2021 and tipping the trillion-dollar mark in 2020. Hardware will lead the way among technology categories in IoT spending in 2018, accounting for $239 billion “going largely toward modules and sensors along with some spending on infrastructure and security,” according to a news release. Services will follow hardware for the year and spending on software and connectivity will come in third. Applications, analytics, platforms and security will lead spending on software for IoT next year, and software will be the fastest-growing technology category throughout the forecast, increasing at 16.1 percent through 2021. Services will grow nearly as fast, at 15.1 percent and will also outpace spending on IoT as a whole. Manufacturing will lead industry spending on IoT, with a projected investment of $189 billion in 2018. Transportation and utilities will lag far behind, accounting for $85 billion and $73 billion, respectively, in 2018. Spending across industries, which accounts for use cases that are not specific to any particular industry, such as smart building or vehicles, will account for almost $92 billion in 2018 and will be one of the fastest areas of growth. Insurance will follow consumer spending as the largest industry spender by CAGR, growing at a rate of 20.1 percent. Healthcare providers at 17.7 percent, cross industries at 17.1 percent and resource industries at 6.7 percent will round out the top five. China will be the country that spends the most, at $209 billion, in 2018, with most of that coming from manufacturing, utilities and government. The United States will follow, with manufacturing, transportation and consumers leading the way toward $194 billion in spending.